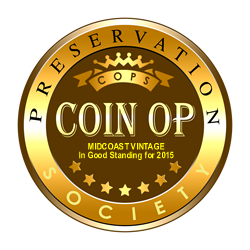 CoinOpCollectorForum.com • View topic - Anyone know what this is? Hello, I found this in my garage. Anyone have any idea what machine this came from? Seems like 1920s/30s maybe 40s. Any help would be appreciated. Thanks! Last edited by pm_3331 on Thu Sep 11, 2014 9:03 am, edited 1 time in total. 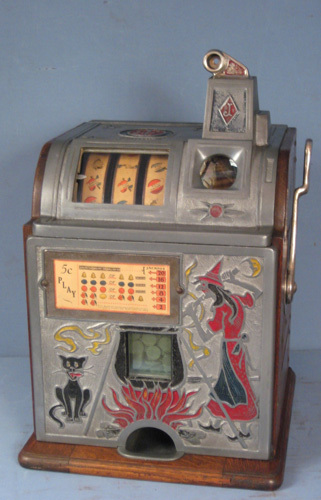 it is from a 1935 bally new yorker pinball machine. probably a near impossible part to find IF you need one, but...the trick is to find a guy who needs one. these machines probably do not exist in great numbers, so, the guy needing one does not exist in great numbers either. come up with a reasonable figure ... and list in the machines for sale column on this site. no need to gouge a fellow collector. fairness / favors / kharma always comes back around.